Registration for the upcoming Genesis Car Show is now open. We are looking for the 10 best rides to represent Hellaflush in Indonesia. These top ten will be given free registration for the Genesis Car Show. All entries should be emailed to showcase@fatlace.com with up to date images and details of your car. All cars will be inspected for authenticity before the show, which includes the wheels! Fake or poor condition parts are disapproved. For more information, you can go to the Genesis site at the link below. Again, all Hellaflush registrants should be emailed to showcase@fatlace.com. 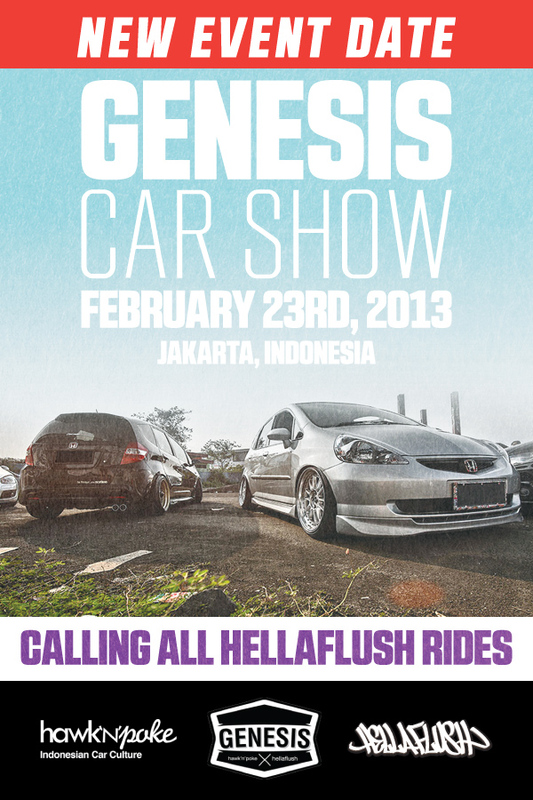 Entries submitted through the Genesis site will NOT be eligible for representing Hellaflush. All entries must be received by January 14th. Submitting does not guarantee a spot to represent Hellaflush.